Quizizz is a fun multiplayer classroom activity, that allows all your students to practice together. Quizizz is another FREE student response system tool.This is very similar to KaHoot but doesn't require a LCD to project the assessment. Teach Your Monster to Read is a super fun, computer-based phonics game for kids. This completely free online resource has over six hours of content for students to explore as they practice phonics skills. It includes exercises on letters, sounds, and full sentences. This website can be used to supplement school instruction at home or incorporated into literacy stations. You might use Teach Your Monster to Read with struggling students or children who need a boost with phonics. 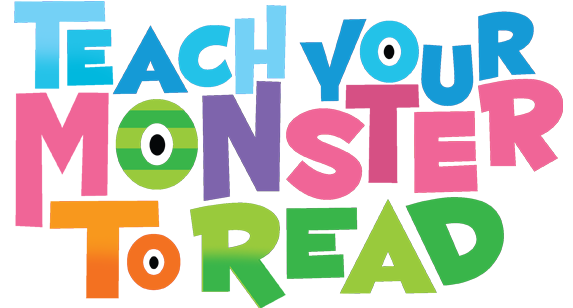 Visit Teach Your Monster to Read’s website to learn more! Choosito is a search engine that allows students and teachers to avoid inappropriate sites and also search by grade level and reading level. The two options for searching on Choosito are a web search and a library search. The library search gives access to a growing number of sites that have already been vetted by other educators and the web search provides a broader search that does not bring up sites that would be inappropriate for a library. Visit the website for a short informational video. Kahoot! is a free service that allows users to create and deliver online quizzes, surveys and discussions in a competitive game-based environment. Kahoot! is also an online classroom response tool. As participants answer questions, they earn points – either as individuals or as members of learning teams – and receive instant feedback about their own mastery of individual concepts. The teachers display the questions of a quiz or survey on the screen and students can answer using ALL kinds of devices -- (iPods/iPads, Android, Kindle, Computers, etc) by accessing Kahoot.it and typing in the game pin. It benefits instruction since it provides teachers with quick formative feedback so they can check for understanding in real time. It is also highly engaging and easy to use. Click here for a Kahoot! tutorial. This powerful web 2.0 tool allows you to organize and share content such as videos, images, do﻿cuments and text using its intuitive drag and drop interface. The tool also allows you to create online lessons by embedding content from popular sites such as YouTube, Google, Vimeo, Flickr etc via its built-in search tool. You can also upload content from your computer, Dropbox or Google Drive. Those of you that were able to attend our 4th Summer Tech Academy, I hope that it was a valuable experience and that you were able to take numerous resources back to use in your classroom instruction! I am sharing the presentations to my workshops. Please let me know if there is any way I can help with any of the technologies and/or strategies shared in my presentations. iPracticeMath - One of the best sites around with educational portal (i.e. assessing/student tracking) for finding lots of Math resources, worksheets, and games. It is free. iPracticeMath is a web based educational tool that makes practicing math fun. Their aim is to provide better education to anyone and everyone. Many of now the topics covers elementary school maths and middle school maths. They are in process of bringing more High school math. Their endeavor is to teach Kids Elementary school maths in easy step-by-step manner and make it exciting for them. BrainNook - A free game with educational portal for Math and Language Arts that allows educators to moderate all aspects of student behavior. BrainNook helps your students build math and language skills while playing a fun game with their classmates, and it gives you powerful tools to customize and accelerate your students' learning. There are several new iPad apps for BrainNook. Fish Smarty - A terrific free site with educational portal for younger kids to interact in a safe environment and play educational games/activities. Fish Smarty School Playground helps teachers motivate kids to learn through interactive activities and appropriate resources for your class. Create your school account and help kids learn.